I am still knitting bags, and I just completed the one above! I even wrote up a pattern for these square bags along with felting instructions. It’s a paid pattern, but I wrote it with beginners in mind. If you are interested in checking it out, hop on over to the Basic Square Felted Bag pattern page on Ravelry. I am starting to embellish these bags, too. I decided to add a needle felted flower. It was originally going to be a multi-colored star, but I couldn’t get the points on the star even. So, I took the cookie cutter that I was using as a template, rotated it, and added the red. Viola! A flower! I added a leaf and stem, and I was then complete. I really like knitting these bags. 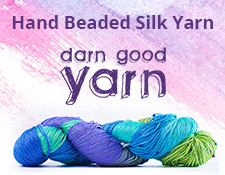 You can felt them if you wish, or not, especially if you don’t have pure wool yarn. It’s been refreshing to knit something new, and to be able to add a little flair to my work, too.